The Library's annual book sale is coming! Visit the lobby of 100 McCaul to find hundreds of pre-loved art & design books, exhibition catalogues, some fiction, non-fiction, general interest, and ephemera. Proceeds support the library. Cash only. 2020 Media Futures is an ambitious, multi-industry strategic foresight project designed to understand and envision what media may look like in the year 2020; what kind of cross-platform Internet environment may shape our media and entertainment in the coming decade; and how our firms and organizations can take action today toward capturing and maintaining positions of national and international leadership. 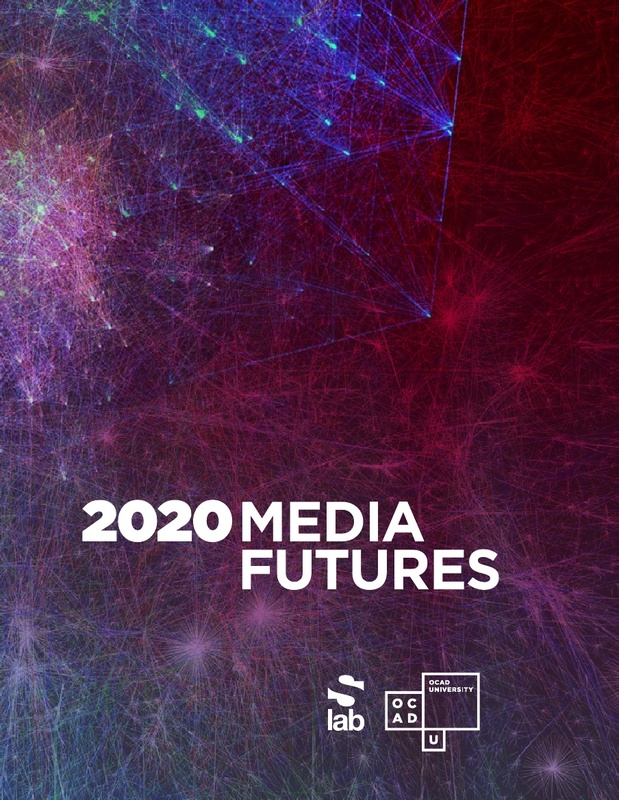 The purpose of 2020 Media Futures is to use open-source strategic foresight for the benefit of the creative cluster — the book, magazine, music, film, television and interactive digital media industries – to help organizations and individuals “future-proof” themselves and their creative livelihoods. These creative professionals include writers, filmmakers, producers, music label executives, game developers, programmers, and other media franchise specialists. To help them prepare for the future, we employed strategic foresight research methods and practices. You can learn about our strategic foresight research methodology and project structure. But before recounting that material, we present the heart of the project, the narrative and contextual scenarios developed through this consultative, participatory process. These scenarios are the result of analytical and synthetic work described in the pages that follow: horizon scanning for signals and trends in consumer behaviour and the media industries; collaborative workshops with industry experts and professionals; and sense-making exercises led by sLab team members to understand the data that we gathered. In many ways, the scenarios were the ultimate goal of the project: four unique visions of possible futures that members of the creative cluster could read, critique and engage with. But as we discovered, the research process that led to their writing was its own reward. Ontario’s creative community is diverse, highly opinionated and innovative. Through our interactions together we gained experiential learning about the needs of these industries, but also a rich understanding of their hopes and fears for the future. Our participants in turn clearly took advantage of opportunities to establish new network connections with one another at our events. We are grateful for the honesty and energy of their contributions to this project. For more information, please visit http://slab.ocadu.ca/project/2020-media-futures. In 1984’s Ghostbusters, Egon Spengler — a tech-savvy computer whiz — declares that “print is dead” when asked if he likes to read. In recent years this phrase garnered special attention and was dubbed a visionary statement when the closure of many newspapers, magazines and bookstores seemed to suggest there may be some truth to the fictional character’s belief. A particularly deadly year for print in Toronto, 2014 saw the loss of six bookstores in six weeks, while the much-revered alternative arts magazine FUSE suddenly ceased operations. And yet last year saw the birth of not one but two art book fairs in Toronto, and both were renewed for a second year. 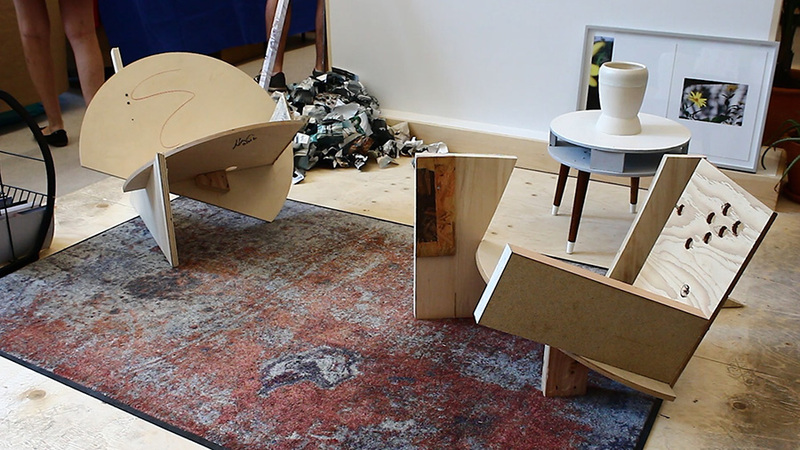 First, the Toronto Art Book Fair (or TOABF as it is affectionately known) took over the historic Artscape Youngplace building with exhibitors’ booths and art installations in June 2016. 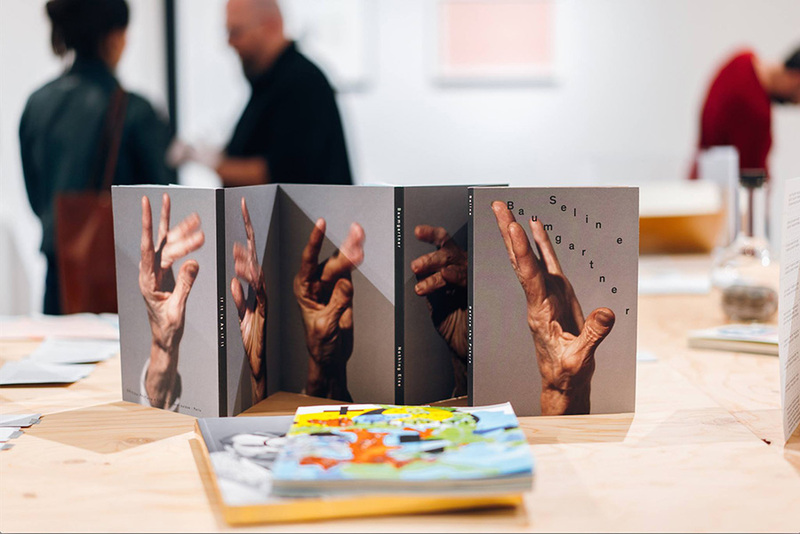 Visitors encountered zines, artists’ books, prints, magazines, and more from local and international creators. There was also the opportunity to attend authors’ lectures, book readings and signings, and workshops on art criticism and zine production. The producers of widely circulated magazines and small independent operations rubbed elbows and exchanged products because this fair was as much for the exhibitors as it was for the visitors. There was an inspiring, collegial vibe humming throughout the building as artists, authors, editors and readers absorbed and shared ideas. Then in October 2016, /edition Art Book Fair opened on the lower level of the Metro Toronto Convention Centre in conjunction with Art Toronto, the glamorous international art fair. Like TOABF, /edition featured many exhibitors, an art installation, and programmed lectures, readings and panels. Similarly, there was also productive knowledge exchange, although like the art fair upstairs, the focus was more on economic exchange. Visitors to /edition were interested in the tangible objects available for purchase, such as limited-edition prints, artists’ multiples, or back issues of rare magazines that they could add to their collections. Considering that the artworld appreciates objects as much as concepts, it is perhaps no surprise that interest in printed matter is not declining to the extent that it is in other fields. The textures and structures of many art publications cannot be replicated as digital media, and can only be appreciated in print. Likewise, these fairs offer a priceless opportunity to meet and connect with the creators of the works. Like the founders, participants, and visitors of these two fairs, OCAD U also has a stake in the future of print. The university’s undergraduate Cross-Disciplinary Art program offers a specialization in publication. While digital publication is part of the curriculum, students are also encouraged to explore print media through courses such as “Handmade Photo Books,” “History of Print & Printmaking,” and “Book Arts: Bookbinding.” The artist’s publication plays an important role in art history, and this program provides future artists with access to the skills necessary to further contributions to the medium.